Arlington Asset Investment Corp. (the “Company”) issued a press release on December 27, 2018 regarding its intention to convert to a real estate investment trust (“REIT”) under the U.S. Internal Revenue Code of 1986, as amended (the “Code”).A copy of the press release is attached hereto as Exhibit 99.1 and is incorporated by reference into this Item 7.01. The information in Item 7.01 of this Current Report on Form 8-K, including Exhibit 99.1 furnished to Item 9.01, shall not be deemed “filed” for the purposes of Section 18 of the Securities Exchange Act of 1934 or otherwise subject to the liabilities under that Section. Furthermore, the information in Item 7.01 of this Current Report on Form 8-K, including Exhibit 99.1 hereto, shall not be deemed to be incorporated by reference into any registration statement or other document to the Securities Act of 1933, as amended (the “Securities Act”). On December 27, 2018, the Company announced that its Board of Directors approved a plan for the Company to elect to be taxed and to operate in a manner that will allow the Company to qualify as a REIT commencing with its taxable year ending December 31, 2019 (the “REIT Election”).The Company previously announced that it had been evaluating long-term tax structures.The anticipated benefits to stockholders include the maintenance of a tax efficient structure for the Company. The Company expects to seek stockholder approval at its next annual meeting to amend its articles of incorporation to include customary REIT ownership limitations to facilitate compliance with REIT qualification requirements. In connection with its expected REIT Election, the Company is supplementing and updating the risk factor disclosure contained in its prior public filings, including those discussed under the heading “Item 1A. Risk Factors” in the Company’s Annual Report on Form 10-K for the fiscal year ended December 31, 2017, filed with the Securities and Exchange Commission on February 16, 2018. The updated risk factor disclosures filed herewith as Exhibit 99.2 will be applicable commencing with the Company’s taxable year ending December 31, 2019 and are incorporated herein by reference. A copy of the opinion of Hunton Andrews Kurth LLP with respect to certain tax matters is attached to this Current Report on Form 8-K as Exhibit 8.1. In connection with its expected REIT Election, the Company is supplementing and updating certain information related to U.S. federal income tax considerations. The information included under the heading “Material U.S. Federal Income Tax Considerations” in Exhibit 99.3 hereto will be applicable commencing with the Company’s taxable year ending December 31, 2019 and is incorporated by reference herein and incorporated by reference into (a) the prospectus dated February 17, 2017 under the heading “Material U.S. Federal Income Tax Considerations”, which is (i) a part of the Company’s Registration Statement on Form S-3 (File No. 333-215384) filed with the Securities and Exchange Commission (the “SEC”) on December 30, 2016, (ii) the Company’s Registration Statements on Form S-8 (File Nos. 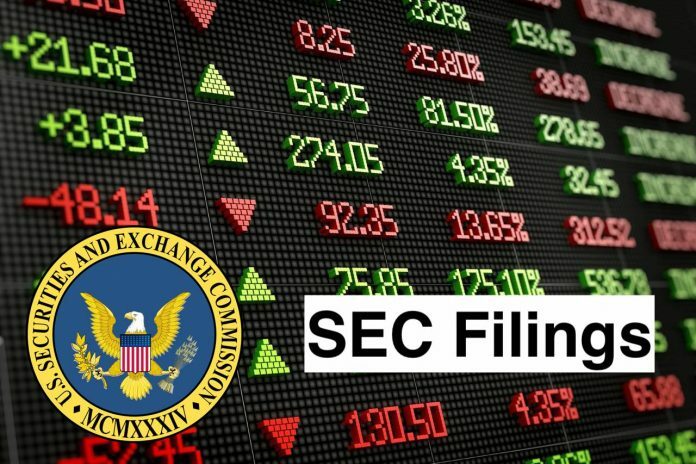 333-197442, 333-174669, and 333-104475) filed with the SEC on July 15, 2014, June 2, 2011 and April 11, 2003, respectively, (iii) attached to the prospectus supplement dated August 10, 2018 filed by the Company with the SEC on August 10, 2018 to Rule 424(b) under the Securities Act and (iv) attached to the prospectus supplement dated May 16, 2017 filed by the Company with the SEC on May 16, 2017 to Rule 424(b) under the Securities Act. Arlington Asset Investment Corp. is a principal investment firm. The Company acquires and holds a levered portfolio of residential mortgage-backed securities (MBS), consisting of agency MBS and private-label MBS. The Company may invest in other types of residential mortgage assets, such as residential mortgage loans, mortgage servicing rights and government sponsored enterprise (GSE) credit risk transfer securities, as well as other types of assets, including commercial MBS, asset backed securities, other structured securities, commercial mortgage loans, commercial loans, and other real estate-related loans and securities. The Company’s Agency MBS include residential mortgage pass-through certificates for which the principal and interest payments are guaranteed by a United States Government agency or GSE, such as the Federal National Mortgage Association and the Federal Home Loan Mortgage Corporation. Its subsidiary is Rosslyn REIT Trust, which is a real estate investment trust.